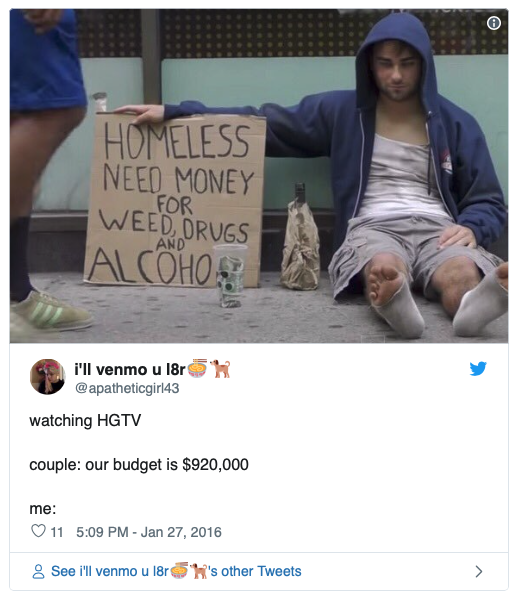 20 Hilarious Tweets From Fans of HGTV! “Let’s take a shot every time they say “open concept” or “charming”! Oh your contractor will have a six pack alright… in the cooler in his truck.